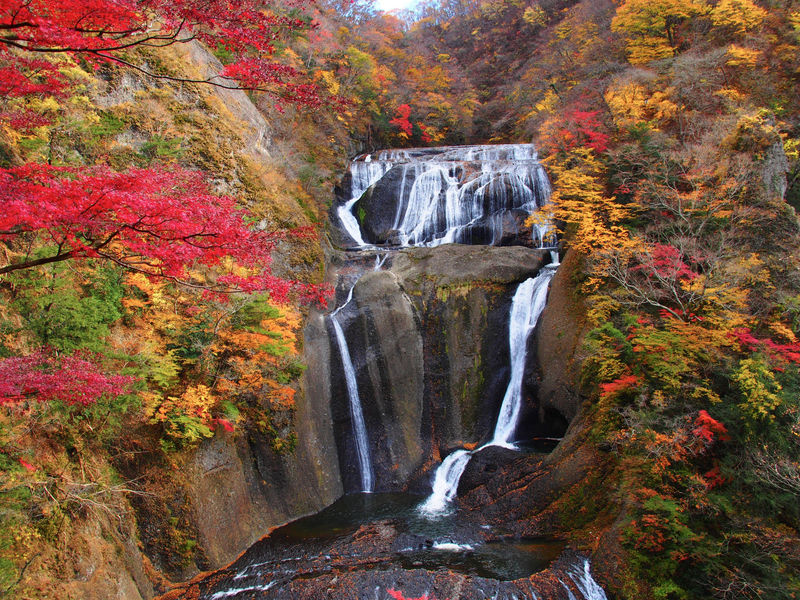 Counted as one of Japan’s three prominent waterfalls, Fukuroda Falls is located in the Daigo-cho town of Ibaraki. Local residents and citizens of Ibaraki Prefecture take great pride in this popular tourist spot. One of the fascinating views that can be seen at the waterfall is how the water drops down from the rock cliffs in four stages before reaching the bottom. This interesting scene is also the reason why the waterfall is nicknamed “Yodo Waterfall” (Four Times Waterfall). Additionally, in winter time, you can see brave ice climbers climbing up the waterfall’s frozen ice wall with ice pickles.